Where to go in Castro? This is situated in the main square in Castro and is the biggest of all the churches in Chiloé and its islands. It was built between 1910 and 1912 after the original temple had been rebuilt several times and was then destroyed in 1771. Local builders were employed and woods like larch, cypress and Chilean evergreen were used. It was declared a National Monument on 19th July in 1979 and a World Heritage Site in December 2000. It is located in the town centre, one block from the main square (Plaza de Armas), in Esmeralda Street. 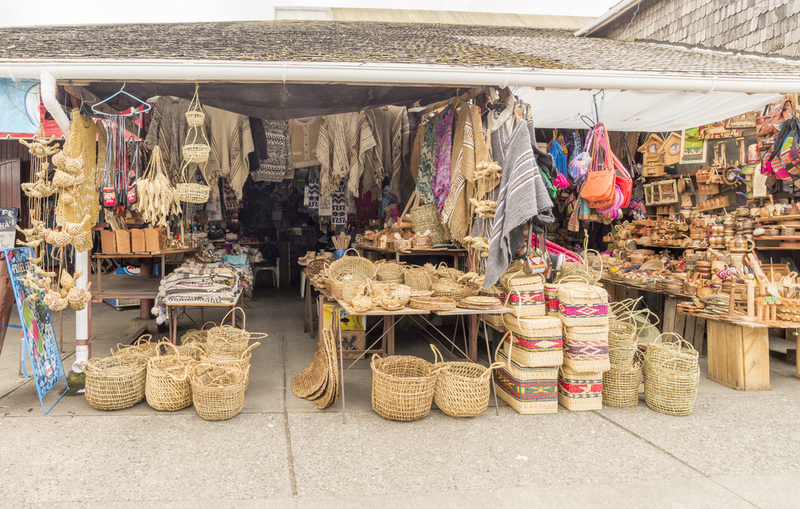 It houses a collection of traditional objects of Chiloé. These represent the wood craft tradition, locks, musical instruments and machinery. It also provides an exhibition in the entranceway, of the archives of Gilberto Provoste recalling the 1960 earthquake. This is a craft and shopping centre. It is where the boats arrive from different islands to sell their products. It houses the Arts and Crafts Fair and the palofito (houses on stilts) restaurants. This is located on the southern road approaching Castro. It offers a panoramic view of the palafitos (houses on stilts in water) and the seafront architecture both characteristic of the relationship between the sea and the land noticeable in Chiloé. You can see Castro Fiord and Bay, with its daily flow of boats that arrive from different parts of the world. It is located along the coastal road opposite the pier. It is a shopping centre that offers traditional island products like cooking utensils, wood craft and wool cardigans. Amongst the stalls you will find palafito restaurants serving Chilean stews, fish and shellfish. During the summer they serve the traditional curanto dish. Situated on Ten Ten Hill. This is a good place to go with the family to get a panoramic view of the city of Castro, the port, the bay and the city’s urban development.